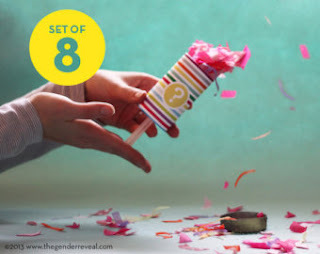 Whether this is your first, third, or sixth child, you still want to know the gender. It feels like forever when you have to wait 20 weeks to find out what the baby is going to be. I couldn't stand the wait when pregnant with my babies. If we have a third child, I will be the same way again. 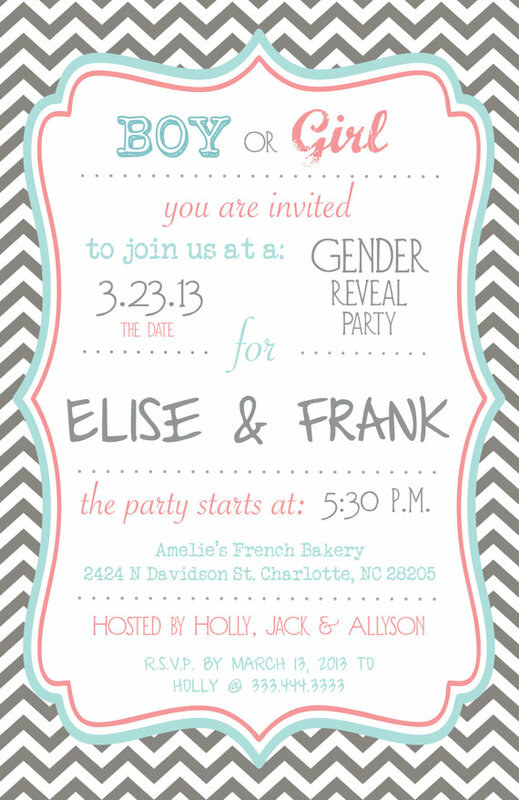 Since gender reveal parties are everywhere now, why not join in on the fun? 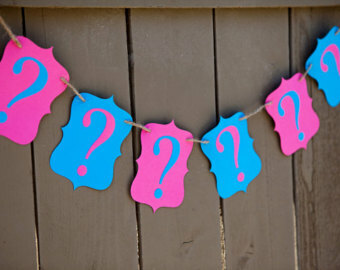 Etsy has a slew of great ideas for your baby's gender reveal soiree. 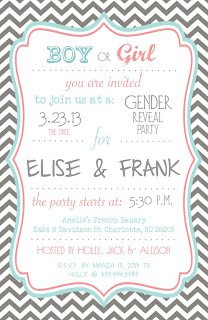 Paper Etiquette has the cutest gender reveal invitation. It is a perfect balance of blue and pink. Don't you love the bright, neon pink and blue banner from The Bridal Prop Shop. Yes, this is a gender reveal banner and not a will they get married banner. 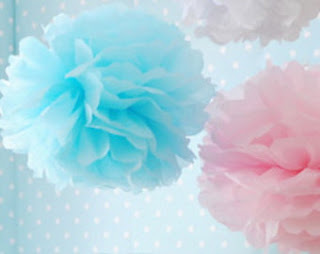 If you need to fill up space above the cake or gift table, consider these adorable pom-poms by Sweet Tea Paper. They come in different sizes so you can stagger the arrangement. Welcome your guests with more pink and blue. Personalize your sign at Custom Paper Memories for the big reveal. 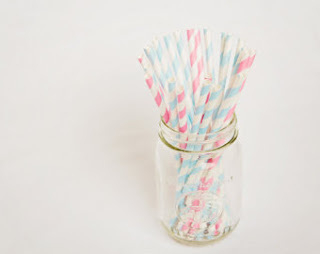 Your guests can choose sides by drawing straws from Create My Fete. Guessing right is oh, so sweet. Send your guests home with a jar of honey from JC Bees, to continue the celebration at home. Scratch off games are so much fun, and they require little work for the hostess. The game from Custom Wrappers 4U, come as personalized blue and pink cards. 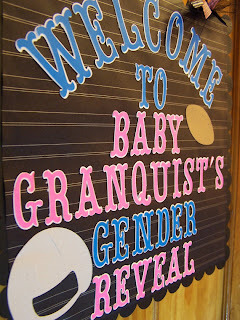 Who needs a cardboard box with balloons in it to find out if the baby is a boy or a girl? This is a party after all. On the count of three, everyone pop your top from The Gender Reveal. Keep up the theme with these adorable thank you notes from Becca Lee Paperie. Congratulations on your bundle of joy! 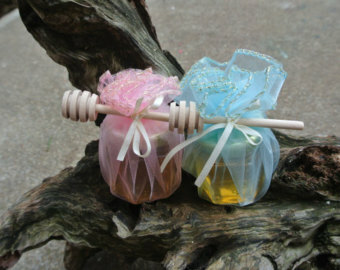 Whether you have a boy or a girl, I wish you happiness and health.